We’d love your help. Let us know what’s wrong with this preview of Counterinsurgency by David Kilcullen. David Kilcullen is one of the world's most influential experts on counterinsurgency and modern warfare, a ground-breaking theorist whose ideas "are revolutionizing military thinking throughout the west" (Washington Post). Indeed, his vision of modern warfare powerfully influenced the United States' decision to rethink its military strategy in Iraq and implement "the Surge, David Kilcullen is one of the world's most influential experts on counterinsurgency and modern warfare, a ground-breaking theorist whose ideas "are revolutionizing military thinking throughout the west" (Washington Post). Indeed, his vision of modern warfare powerfully influenced the United States' decision to rethink its military strategy in Iraq and implement "the Surge," now recognized as a dramatic success. In Counterinsurgency, Kilcullen brings together his most salient writings on this vitally important topic. Here is a picture of modern warfare by someone who has had his boots on the ground in some of today's worst trouble spots-including Iraq and Afghanistan-and who has been studying counterinsurgency since 1985. Filled with down-to-earth, common-sense insights, this book is the definitive account of counterinsurgency, indispensable for all those interested in making sense of our world in an age of terror. To ask other readers questions about Counterinsurgency, please sign up. The most fascinating part of counterinsurgency to me is how it is essentially a war fought with ideas more than violence. It is a propaganda war and he who has the most compelling message and ideas wins. In fact indiscriminate violence is more like using gasoline to put out a fire. Unless you literally want to burn everything down until there isn't anything left it is a poor choice for fighting a counter-insurgency. The use of brute force to counter insurgency is akin to a frontal assault on a m The most fascinating part of counterinsurgency to me is how it is essentially a war fought with ideas more than violence. It is a propaganda war and he who has the most compelling message and ideas wins. In fact indiscriminate violence is more like using gasoline to put out a fire. Unless you literally want to burn everything down until there isn't anything left it is a poor choice for fighting a counter-insurgency. The use of brute force to counter insurgency is akin to a frontal assault on a machine gun position, it is doable, but you are going to pay dearly for it. The American public and American military has been for years not very effective with fighting counterinsurgency and there are a variety of reasons for this. 1) American's don't have the will to persevere through long term commitments, 2) They prefer technological solutions to human problems, 3) An over inflated military budget produces expensive solutions to problems that could be solved with creativity and innovation. 4) Americans can't stomach military casualties. This collection of articles from an Australian advisor to General Petraeus presages a number of points he makes in his later work, The Accidental Guerilla. It's an important part of the dialogue in dealing with the asymmetric struggle with radical Islamists, although many of its points are broader. This is apparently the prevailing thinking among military and security decision-makers in Washington right now. The proposed counterinsurgency strategy seems sound, intelligent, and impossible to execute. Cheering thoughts. Like Kilcullen's other books, this work is well thought out and insightful. Unlike Kilcullen's other books, the articles collected here are mostly dry and dull. It's of interest if you're a professional, perhaps, or for context in 20th century military history, but it is certainly not worth reading for pleasure or casual interest. Although published in 2010 and a bit dated, a phenomenal look at counterinsurgency theory in its application to both the global war on terror and advice at the company level. Both the bottom up versus top down approaches used in reducing the threat of insurgency and the approach of insurgencies as a complex system proved to be highlights of the book for me. I'm learning that I should read every word Kilcullen writes. A bit dated considering this largely contains pre-ISIS material, but his review of insurgency and counterinsurgency theory alone is concise and invaluable. My politest comment to this book is to flip it off. Interesting viewpoint on the winning hearts and minds to battle insurgency. Following the success and praise of his previous book, The Accidental Guerilla, David Kilcullen has released a compilation of his previously published articles on counterinsurgency that have impacted and evolved the theoretical understanding of the field. From the "Twenty-eight Articles" that initially went viral to a summary of his doctoral dissertation, Kilcullen's analysis can now be located in one book. 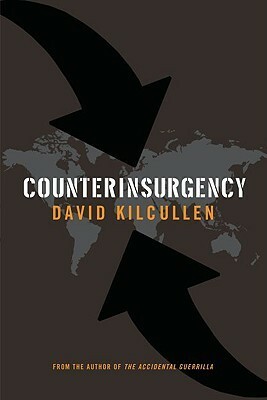 Kilcullen, one of the leading counterinsurgency analysts, provides a wealth of informatio Following the success and praise of his previous book, The Accidental Guerilla, David Kilcullen has released a compilation of his previously published articles on counterinsurgency that have impacted and evolved the theoretical understanding of the field. From the "Twenty-eight Articles" that initially went viral to a summary of his doctoral dissertation, Kilcullen's analysis can now be located in one book. Kilcullen, one of the leading counterinsurgency analysts, provides a wealth of information for COIN practitioners that stems from extensive hands-on experience. In Kilcullen's last essay, he focuses on viable strategies to defeat the current global Islamist insurgency that makes up the War on Terror. However, he neglects to examine whether or not it's even possible to mobilize a global Muslim populace in a global insurgency. He readily admits the cultural differences that exist within and between insurgencies that can decrease operational capabilities but does not apply this same concept to the Islamist societies. Indeed, nationalism within Afghanistan and Pakistan, for example, has not been readily adopted, facing fierce resistance towards efforts to consolidate state institutions and identities. If states are having such difficulties in unifying a populace, a global jihadist movement is unlikely to fair much better at a larger scale. The emergence of a Muslim caliphate that is directly opposed to the West is no small undertaking and requires a substantial degree of analysis and evidence before national security policy can developed in anticipation of it. While Kilcullen offers a highly intelligent strategy to combat radical Islamist terrorism through "disaggregation," his implicit assumption that this insurgency possesses legitimate challenges to the West may be overstated. While Kilcullen's emphasis on a population-centric approach to COIN, the importance alleviating suffering for the populace may be overstated. Some scholars have claimed that civilian control methods that also force civilians to endure hardship can be effective in an insurgency. Kilcullen represents one of the more prominent experts that recommend alleviating as much suffering as possible for the populace and the reader should be aware of critiques of that perspective. For a recent debate between the two perspectives, John A. Nagl and Gian P. Gentile each wrote two articles debating the topic in Joint Force Quarterly 58. This is not the best book for those new to the study of counterinsurgency. Kilcullen's book will aid those with a foundation in classical counterinsurgency theory as well as a general knowledge of the U.S. operations in Afghanistan and Iraq more so than the general audience. For practitioners and scholars of COIN, this book is essential if the reader is unfamiliar with Kilcullen's writings. For the general audience or those that already follow the work of Kilcullen, there are likely more pressing books to give priority to. A themed collection of articles published in 2009/2010 by counterinsurgency thinker David Kilcullen, following up on ideas previously outlined in his 2006-era Twenty-Eight Articles: Fundamentals of Company-Level Counterinsurgency, as well as incorporating concepts and updates from later works, including The Accidental Guerrilla. The article on the insurgencies in Western Java and East Timor was very informative, as I did not know much about them. Particularly notable was the look at the success ( A themed collection of articles published in 2009/2010 by counterinsurgency thinker David Kilcullen, following up on ideas previously outlined in his 2006-era Twenty-Eight Articles: Fundamentals of Company-Level Counterinsurgency, as well as incorporating concepts and updates from later works, including The Accidental Guerrilla. The article on the insurgencies in Western Java and East Timor was very informative, as I did not know much about them. Particularly notable was the look at the success (in the case of Java) and later failure (in East Timor) of the Indonesian government's tactic of using rural populations to surround insurgent territory. In another article, Kilcullen recalls an engagement that took place in 1999 East Timor, where he was company commander of an Australian intervention force. The description of the firefight with a militia group illustrated the boots-on-the-ground realities of combat in the region, though didn't really do much towards the larger theme of the book. Reading the article about the need to assert bottom-up good governance in Afghanistan, authored 3 years ago, was just depressing. Kilcullen ends with a look at combating global Islamist insurgency -- not just al Qaeda -- viewing it as a complex network that acts like a virtual Islamic state, then attacking it by trying to disengage each local insurgency from the larger network. Together, the articles try to be a primer and handbook for counterinsurgents. Kilcullen provides a a fascinating view of the problem of insurgency (which has gained prominence in the last two decades) from the perspective of an army officer, a policy adviser and a theoretician. While in my youth I had read classic works such asDefeating Communist Insurgency: Experiences from Malaya and Vietnam and Counter-Insurgency Operations: Techniques of Guerrilla Warfare, these are now quite dated. The nature of insurgency has changed since the 1950s, 60s and 70s. Communism has been Kilcullen provides a a fascinating view of the problem of insurgency (which has gained prominence in the last two decades) from the perspective of an army officer, a policy adviser and a theoretician. While in my youth I had read classic works such asDefeating Communist Insurgency: Experiences from Malaya and Vietnam and Counter-Insurgency Operations: Techniques of Guerrilla Warfare, these are now quite dated. The nature of insurgency has changed since the 1950s, 60s and 70s. Communism has been replaced by an Islamist Jihad, technology and economic development are quite different. Thus, Kilcullen provided a contemporary update - some things were quite new and other familiar. Not only does this book illustrate what is being done to put down resistance to american imperialism overseas in Iraq and afghanistan, but it also shines light on what we see happening here in our country against supposed "eco-terrorists". It was not in any way an exciting read, especially if you don't already geek out on military history/ theory but it is an important book anyway. The author is one of the most respected and influential military thinkers currently influencing american policy. Hi Not only does this book illustrate what is being done to put down resistance to american imperialism overseas in Iraq and afghanistan, but it also shines light on what we see happening here in our country against supposed "eco-terrorists". It was not in any way an exciting read, especially if you don't already geek out on military history/ theory but it is an important book anyway. The author is one of the most respected and influential military thinkers currently influencing american policy. His ideas had a lot to do with the "surge" in Iraq at the end of the bush presidency and he was one of the primary authors of the militarys official counterinsurgency manual, which i would love to get my hands on. Check it out if you get the chance but don't expect to be very entertained. This book is more is a random assortment of pieces by Kilcullen, ranging from articles published on disaggregation theory, to COIN in general, as well as monographs and combat briefs based on personal experience in the field. Although the collection seems quite random at times, ranging from personal experiences of conflict in East Timor, to Indonesian COIN, to how to measure success in Afghanistan, it is all interesting stuff. The most useful chapter by far for most readers is likely to be the l This book is more is a random assortment of pieces by Kilcullen, ranging from articles published on disaggregation theory, to COIN in general, as well as monographs and combat briefs based on personal experience in the field. Although the collection seems quite random at times, ranging from personal experiences of conflict in East Timor, to Indonesian COIN, to how to measure success in Afghanistan, it is all interesting stuff. The most useful chapter by far for most readers is likely to be the last chapter, which discusses the systems model of insurgency comparing an insurgent system to a biological organism, and the methods that COIN strategies must adopt in order to be able to adapt and combat such groups. Fascinating stuff. Kilcullen fought insurgents in Indonesia, Iraq and Afghanistan. This is a collection of his essays on counterinsurgency. Pulled from a variety of sources, Kilcullen added notes to clarify his thinking before publishing it 2009. Why I started this book: I'm working my way thru the military's recommended reading list, reading and listening to whatever I can get my hands on. Why I finished it: Very interesting to see this from an Australian perspective. Fascinating book thought provoking and extremely relevant to the whole "war on terror". Especially interesting analysis of Iraq and consequences/experiences/lessons learnt which should be applied in Afghanistan as well as dealing with godal Jihadism. Not the easiest book to read but one of the most thought provoking. Very informative and interesting. The updated footnotes were very helpful. The main drawback is that it is more of a collection of previously published articles instead of a coherent and connected text. Everyone interested in foreign relations should read this book, especially those who want to be informed on the current landscape of US military operations. A book that takes a pragmatic look at counter-insurgency; and grounded in both research and reality. The author makes many useful points that are worth serious pondering. His final chapter on treating global extremist terrorism as a global-level insurgency makes sense, as would his suggestions on how to tackle the issue. A really good collection of essays on counterinsurgency. Kilcullen has a bit of a pretentious writing style, but there is some serious substance here. I especially liked the section on counterinsurgency metrics counterinsurgency activity besides SIGACTS - e.g. freight prices to rural Iraqi cities, the existence, the existence of imported fruits in villages, etc. A good book that provides a lot of insight about modern COIN in the global insurgency sense. I've heard that The Accidental Guerrilla is better, so I'll be reading that shortly, but this is a useful book that adds onto the US Army Field Manual on Counterinsurgency with a more tactical, on-the-ground-level point of view to it. There are many organizational strategy and insights from both the insurgency and counterinsurgency perspective that can be applied outside the theatre of war. Especially when you are instigating change from a bottom up approach, this book provides a paradigm for ways through large organizations and complex cultural & human dynamics. A great read, begins to drift toward the end. His reflections on counterinsurgency reveal a healthy respect for same processes of bottom-up development that Bill Easterly emphasizes in his economic work. It's unfortunate that there has not been more dialogue. Excellent book if you are interested in the subject matter. The author gives examples of successful and failed counterinsurgency actions and makes recommendations for an approach to fighting a worldwide insurgency rather than fighting a war on terror alone. I didn't actually finish reading this book, and have no desire to ever do so. It's the first in a long time that I have to say that about, fiction or non-fiction. There was some good information presented, but it just rubbed me the wrong way. Counterinsurgency provides a well-rounded view of insurgencies and how to defeat them from the view of a persona actually in the battle. Very good book, makes very strong arguments. The last chapter is brilliant, the rest has become outdated, really. Still a brilliant analyst. Worth reading the latter parts in light if current events. Lots of good background throughout.